Making quite a name for itself in very recent times as starting place for theatrical hits, the Southwark Playhouse has added its name to the shortlist of special venues that must be carefully watched when planning a West End theatre trip. 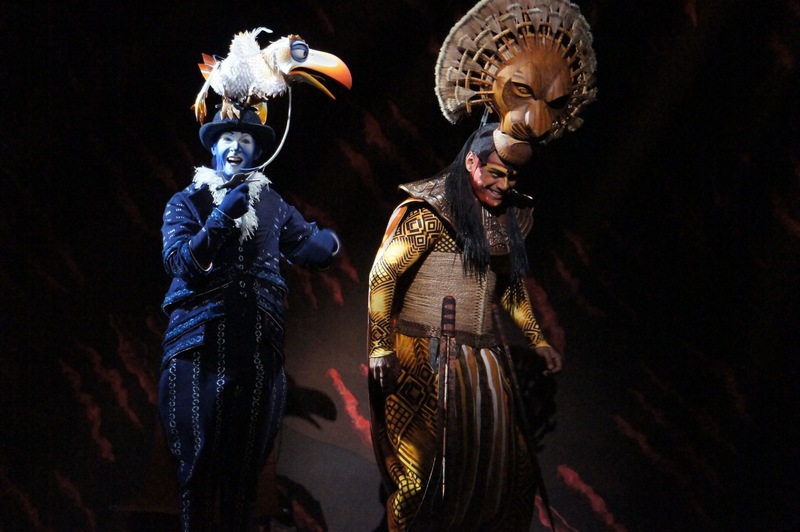 The unique configuration of the performing space allows an intimate arrangement with seating on three sides and no audience member further than five rows away. 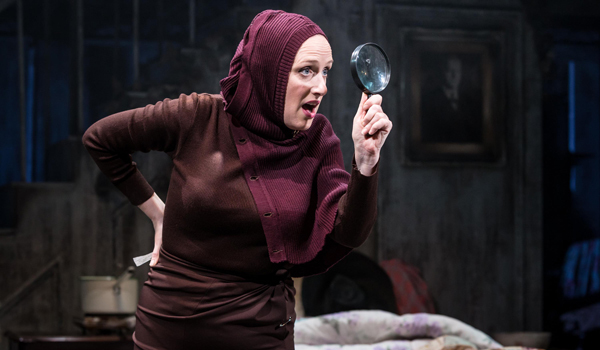 The action begins with a glimpse of Sheila Hancock as Big Edie and Jenna Russell as Little Edie in their decrepit later life. As Big Edie attempts to sing one of her cherished songs, Russell transforms before our eyes into the Big Edie of 1941. Act one’s significantly condensed version of actual events sees the women’s cultured, privileged world implode one serene summer afternoon. After the brief prologue, the lights rise to suggest sunnier times, but the squalor of Tom Rogers’ detailed set design remains, an abstract collage of faded dreams and distant memories. Costume designer Jonathan Lipman outfits the society set of act one in gently faded shades of pale pink and blue. 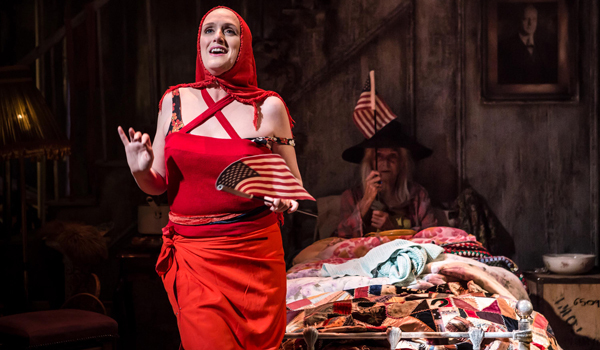 Lipman goes to town, of course, with Little Edie’s “revolutionary costumes” in act two, and Russell pulls these off with mind-boggling aplomb. 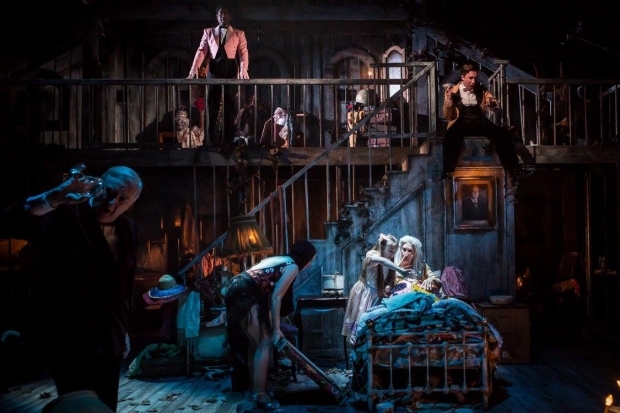 Director Thom Southerland colours the family drama of act one with a myriad of tiny details that allow the characters to breathe as people rather than caricatures. Charismatic young actor Aaron Sidwell presents Joseph P. Kennedy Jr as crisply handsome fellow, with a self aware eye on avoiding scandal bubbling just below the surface. Jeremy Legat portrays lavender pianist George Gould Strong as a guarded man who has come to feel quite at home tickling Big Edie’s ivories. Avoiding the pompous, dithering stereotype, Billy Boyle portrays J. V. “Major” Bouvier as a man sharply aware of the disappointment of a family that has not developed to his liking. 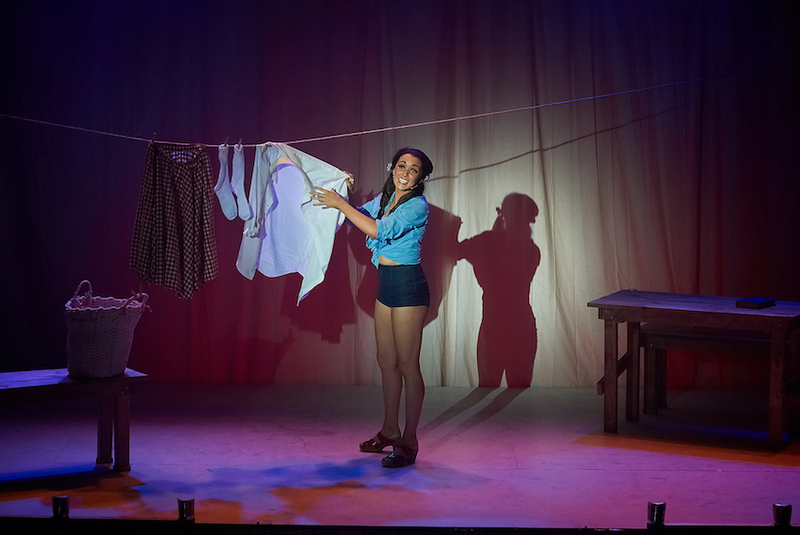 As Little Edie in act one, Rachelle Ann Rayham pops pills with barely contained skittishness, expertly balancing the line between true optimism and niggling despair. Rayham’s strawberry blonde tresses are tightly pulled back, foreshadowing the hair loss that is to come. Lipman cheekily dresses her in a hood at times, in another nod to the young woman’s demented future. The compaction of events in Doug Wright’s book for act one brings an onslaught of unstinting familial cruelty, and Southerland delivers this with painful force. Michael Korie and Scott Frankel’s charming period songs bring some relief, with lyricist Korie going all out with Big Edie’s wickedly racist repertoire of songs. With Big Edie’s bombshell having successfully sent Little Edie’s latest fiancé Joe Kennedy Jr heading for the hills, and her own pitiful marriage finally euthanised by the unseen Mr Beale, the final moment of act one sees Hancock return as Big Edie, with Sidwell and Ako Mitchell in their act two guises of teenager Jerry and gardener Brooks Jr, son of butler Brooks Sr. The audience’s appetite teased with the all too brief prologue, the full effect of Russell and Hancock’s tour de force performances is unleashed in act two. 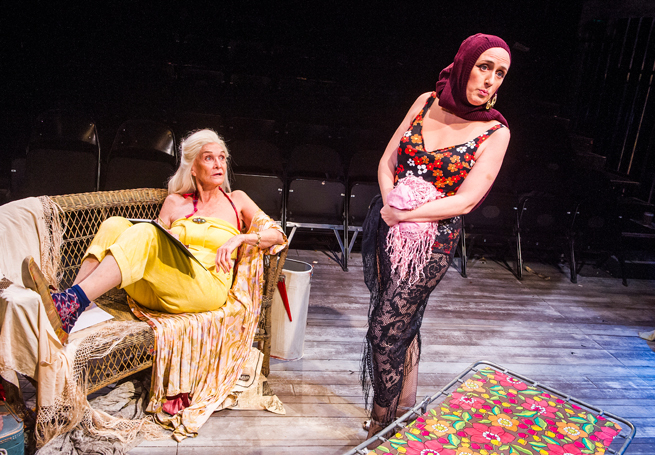 Those familiar with the musical will know that this act is based on the infamous 1975 documentary Grey Gardens, which chronicled the bizarre life of the fallen socialites Big and Little Edie Bouvier Beale. Wonderful as her performance is as the self deluded, self centred, selfishly manipulative Big Edie in act one, Russell is even more delectably compelling as she channels the outlandish lunacy of the later incarnation of Little Edie. Now 32 years older, Little Edie’s hair, figure and most of her sanity are gone, along with her prospects for happiness she once held. Russell is absolutely hilarious, whilst also tenderly maintaining a palpable air of pathos as well. 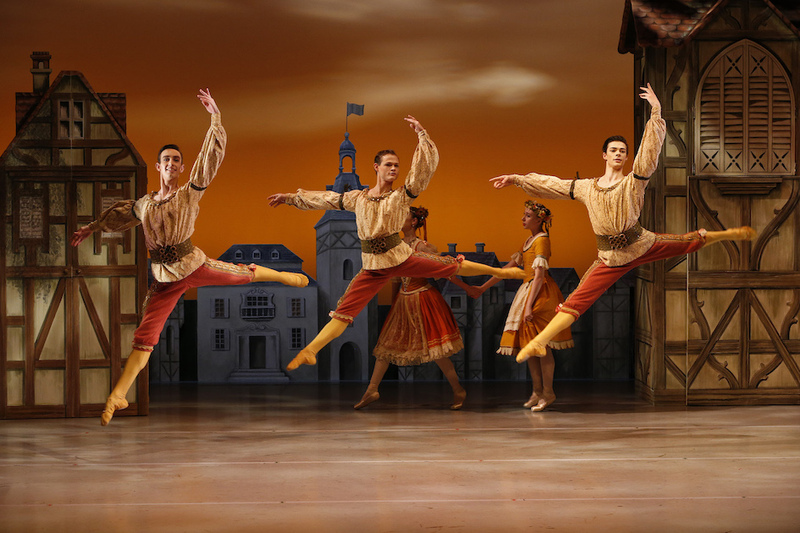 In Russell’s exceedingly capable hands, act two opener “The Revolutionary Costume for Today” becomes a show stopper to rival “Hello, Dolly!,” bringing down the house with a roaring ovation. After much hilarity, Russell has the poignant 11 o’clock number “Another Winter in a Summer Town,” leaving the audience moved and unsettled by the women’s plight. Hancock continues Big Edie’s self preserving manipulation, playing her as a woman who turns on the mania when it suits her. A strikingly handsome woman, Hancock appears almost too healthy and strong as Big Edie, a woman who survives with little nutrition, sanitation or affection. Hancock uses more of a regular voice rather than the sing-song tones usually heard from Big Edie, and does not wear the horn-rimmed glasses for very long. The actress adopts a gently realistic manner for her touching scene with local youth Jerry. Hancock is an excellent partner for Russell, a highlight coming when the pair engage in an extended shouting match that ends with a searing moment of honesty as Little Edie expresses her deep-seated fear that her father would have her committed. With the current season sold out, watch, with fingers crossed, for news of a West End transfer. 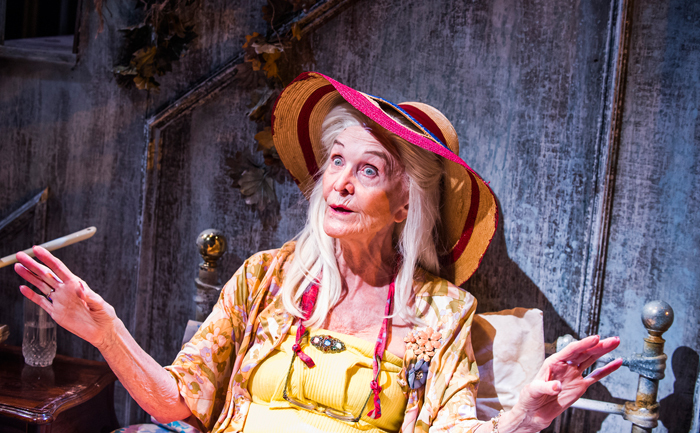 Grey Gardens plays at Southwark Playhouse, London until 6 February 2016. 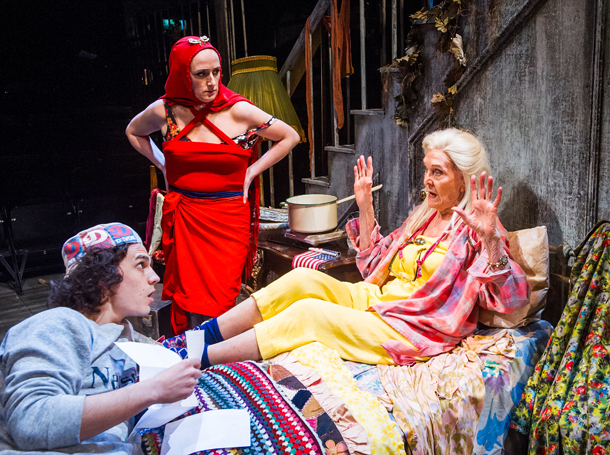 Grey Gardens was reviewed 7.30pm Saturday 16 January 2016.